SAN FRANCISCO, Calif. – May 11, 2015 – Kokoon Technology today launched a Kickstarter campaign for Kokoon headphones, an ergonomic headset that uses proven medical-grade EEG technology to actively help users achieve better sleep. 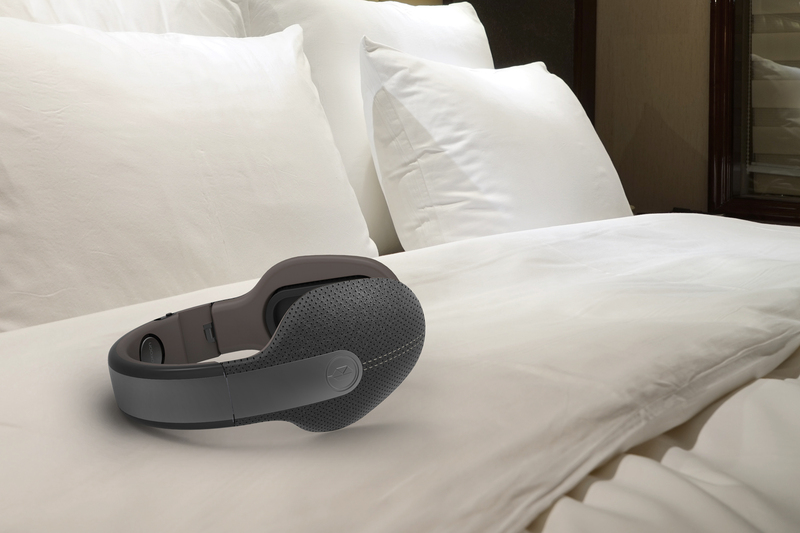 It’s the first smart headset that helps the wearer relax and sleep better at home or on-the-go by combining comfort and high quality audio with smart sleep sensors into a single travel-friendly package. Kokoon headphones are equipped with hidden electroencephalographic (EEG) sensors, making Kokoon the world’s first brain-sensing consumer headphones. By monitoring the electronic impulses in the wearer’s brain, Kokoon headphones can determine the exact moment of sleep, the different phases of sleep and the perfect point in the natural sleep cycle to awaken. 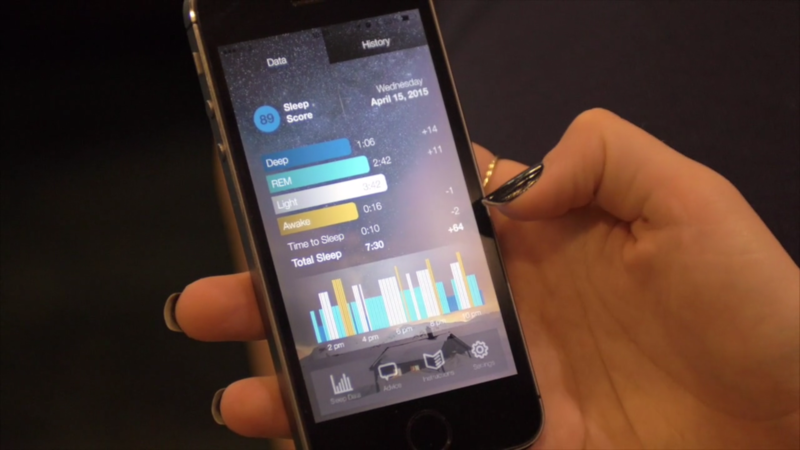 This allows the headphones to automatically adjust and tune the audio to ensure that regenerative deep sleep is protected from disturbances and that users wake at the perfect point in the natural sleep cycle. To ensure quality acoustics, Kokoon partnered with Onkyo and Pioneer Corporation, who have over 70 years of experience creating high-quality audio. In addition, Kokoons feature a layered noise isolation system that combines three techniques for environmental noise reduction: noise isolation, active noise cancellation, and Kokoons’ proprietary active white noise system. To guarantee comfort while sleeping, Kokoon headphones act as cushions, spreading pressure away from sensitive regions and onto less sensitive areas. They also pair an air ventilation system with cool gel cushioning to avoid trapping hot air and sweat while users sleep. To reduce impact on natural sleep movement, Kokoon headphones are completely wireless, relying on Bluetooth connectivity and the lowest possible profile for an over-ear cup. To ensure that Kokoon headphones are ergonomically suited for any and all potential users, Kokoon has committed to allocating a portion of the funds raised through Kickstarter to undertake 10,000 hours of user-testing across an intensely varied pool of beta testers. Kokoon headphones are available now for pre-order on Kickstarter for the early bird price of $189. Kokoon Technologies was founded by Tim Antos & Richard Hall in 2013. Operating across Cambridge and London, the Kokoon team is currently designing next-generation high-comfort headphones enriched with sensors that empower users to take control of their sleep. Kokoon is a participant in the HAX Accelerator program, and has been manufacturing in China throughout 2015. For more information, visit their website at http://kokoontech.com/.